We're doing a bit of a switch up today. Today's shoe is all about fitness and while wearing heels can definitely strengthen your calves, today we highlight a shoe that strengthens your entire body. The lightweight Therafit Deborah Sneaker is made with breathable mesh and soft, synthetic materials and molded, removable cushioned insoles featuring gel inserts which give even more cushion and support and a Aegis Microbe Shield treatment to help prevent mold and bacteria. What I love about this sneaker (besides the color), is you can adjust it to your foot with its 3 removable PCS dual-density comfort adapters in the 1 1/2" midsole wedge - whether you have a flat foot or high instep, you can adjust it to be comfortable. 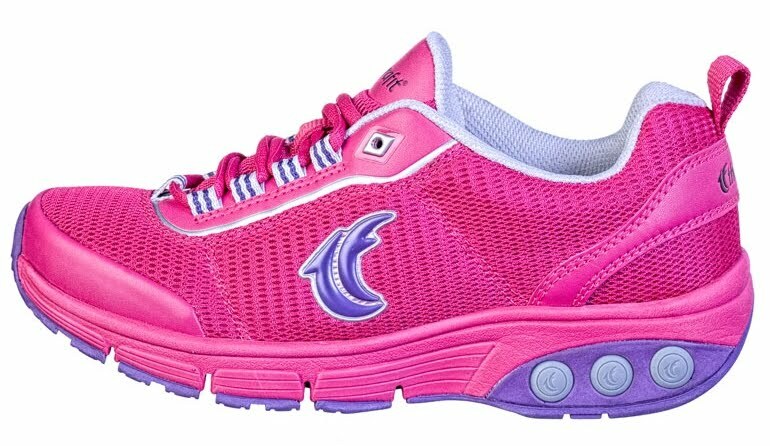 If you are going to be on your feet for long periods of time, this is the sneaker for you (not a fan of pink, it also comes in black, silver and red). The Deborah is a 12-HOUR sneaker for your 12-HOUR day. 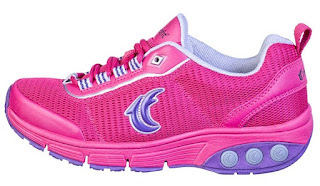 To get more information on this sneaker - click http://www.therafitshoe.com/shoes/athletic/.